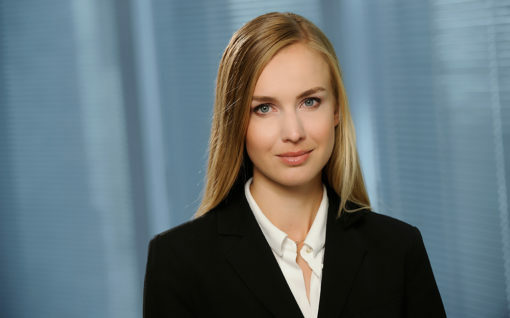 Natalia Godula specializes in commercial and investment arbitration as well as court disputes. She has extensive experience in international disputes, particularly in cases involving violations of bilateral agreements on investment promotion and protection, and in international commercial disputes. Natalia has worked on cases under arbitration rules such as: ICC, UNCITRAL, SCC and SAKIG in Warsaw. She also has broad experience in commercial disputes before common courts, particularly those related to construction investments, including those based on FIDIC terms. Prior to joining K&P, Natalia worked in international law firms in Warsaw, Paris and Geneva, as well as in a prestigious international institution in Paris. Membership: The Warsaw Bar of Advocates (2nd year trainee), Young ICCA. Education: Paris II Panthéon-Assas University (Master 2 in litigation, arbitration and alternative methods of dispute settlement, 2014), Paris-Est Créteil Val-de-Marne University (University degree in the international resolution of commercial disputes, 2014), the International Academy for Arbitration Law in Paris (2013), Orlean University (Master 2 in French and international commercial law, 2013), Jagiellonian University in Krakow, Faculty of Law and Administration (Master of Law, 2012).